Telangana state government has mandated building and layout plan approval prior to property registration in an attempt to curb illegal construction in Hyderabad. To prevent illicit development and land encroachment in Hyderabad Metropolitan Region and headquarter towns of 21 districts, the Telangana government has proposed a stringent property registration plan. Cracking a whip on builders, the authority has mandated that developers avail a building and layout plan permission before registering a property. The municipal administration and urban development (MA & UD) would be conjointly working with the revenue department responsible for property registration. Until now, the registration department never sought for documents pertinent to building plan, layout sanctioned and land approved by the civic body. However, the new law has made it rudimentary that every builder submit copies of the layout and building permission fetched from the civic body in order to get the property registered. The move has created an anxiety among developers who, by far, duped buyers by selling properties sans any official grant and contributed to the massive inventory stock that sprawls across the metropolis. Presently, several micro-markets such as Gachibowli, Nanakramguda, Kondapur, Madhapur, Hi-Tec City and Begumpet are ridden with illegally constructed residential projects. 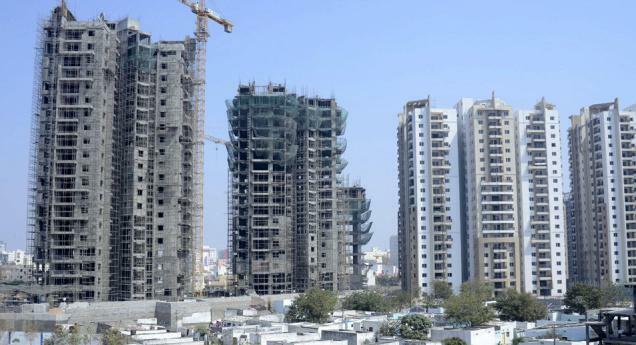 While the government has not cleared its action plan on the already occupied illegal residential projects, new projects are certain to undergo scrutiny. Demolition of commercial projects has also begun in old areas of the city and other mainstream commercial markets. Besides, in case of unauthorised plots sold recently, the plot owners would be given another chance for property regularisation under a Layout Regularisation Scheme (LRS). Presently, there are several illicit plotted developments in the newly formed district headquarters of Janagaon, Yadadri, Siddipet, Jagtiyal and Mancherial. In the past, there have been several incidences of illegal construction. A recent one was an unauthorised plotted layout identified in Begumpet that was drawn up by a regional player. The layout encroached on a 10-acre area of 'already shrinking' Hussainsagar Lake. The lake earlier sprawled over an area of 8.5 sq km, however, after an infringement by private individuals and government bodies, the total area has been reduced to 5.4 sq km in the last few decades. Industry experts opine that the move is in public interest and linking property registration with approval process would not only aid in curbing unlawful expansion, but would also create favourable realty sentiment, reinstating buyers’ faith in the market.